Summary: This photo is of a group of students in the Kraków Teachers' Seminary, the friends and cohort of Devorah Epelgrad, who attended the seminary in 1933-34. She is on the right, in the patterned blouse, with braids. Photo by N. Gurman. 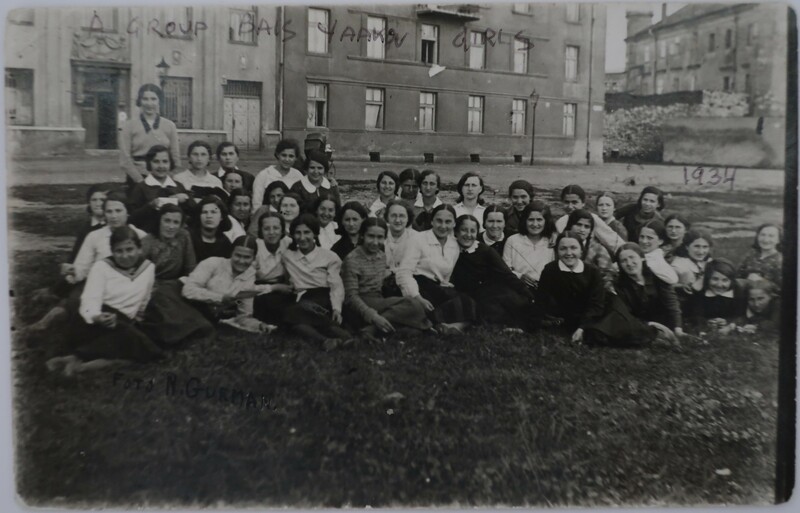 This photo is of a group of students in the Kraków Teachers’ Seminary, the friends and cohort of Devorah Epelgrad, who attended the seminary in 1933-34. She is on the right, in the patterned blouse, with braids. Photo by N. Gurman.